Auto collisions can wreck a lot more than your car – if you’re not careful, your pocketbook could be the next casualty. 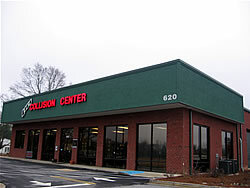 Fortunately customers in our area can visit Lee’s Collision Center at 620 Athens Highway in Loganville for body, frame and refinishing repair of nearly any vehicle – cars, trucks, SUV’s and vans. A locally owned business that cares about the people and animals in their community, the folks at Lee’s Collision Center have been long-time supporters of Walton Animal Guild and we’re proud to call them a Community Pet Partner. For more information on how they can help you, visit www.leescollisioncenter.com.